Someone asked me the other day what they should do if they run out of synonyms. They were referring to the color blue, and they had already called it indigo, aqua, and cobalt. It’s a pretty common problem for writers. You certainly don’t want to keep using the same word over and over again, thus appearing as though you have a limited vocabulary, but you also don’t want to take a long walk down Synonym Lane because, well, it seems a bit contrived if you know what I mean. I suggested to that person, and I suggest to you, that you use similes and/or metaphors to reach the same goal. Instead of saying a person’s eyes were blue you could say her eyes reminded you of robins’ eggs in a nest on a brilliant morning, or you were lost in the tide-pool depths of her eyes. Just a suggestion . . . 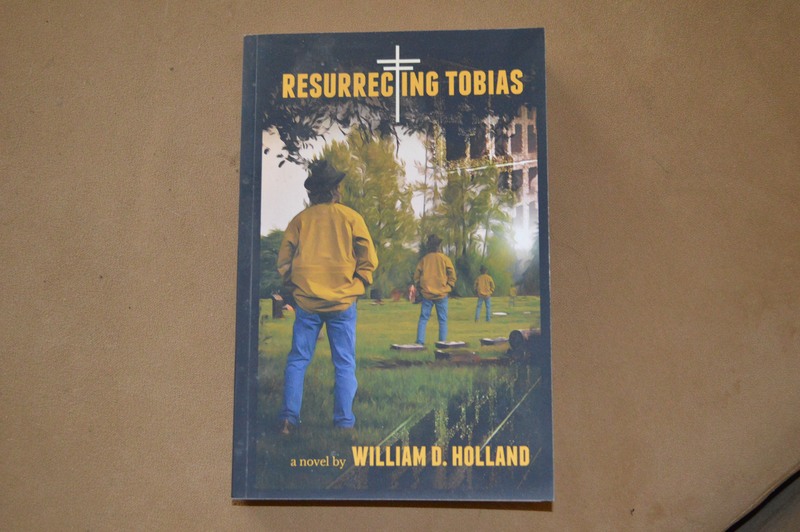 I spend the last hour of my evenings reading, usually a novel by one of my favorite authors, but this past week I’ve been reading my second novel, “Resurrecting Tobias.” I guess I wanted to see how I have evolved as a writer, but I also wanted to revisit my own personal favorite and try to recapture things in that book I was proud of. It’s an interesting exercise and I highly recommend it. If you don’t write novels then go over some of your old articles. Curiosity may have killed the cat, but it also can be beneficial. Oddly, parts of that book made me question whether I had grown at all as a writer. Some passages were better writings than I’m doing right now. I’m not sure what to think of that. LOL There were some passages which seem poorly written now, and I can see what I should have done instead, but we all know that hindsight is a luxury none of us can act on in the present. I was thinking back to when we were kids, and the things we did, without parental supervision, which would today be considered almost frightening. My parents usually sent me out the door to play with two words of advice: be careful! Of course I paid zero attention to those words. We had snowball fights with rocks in the snowballs, just to spice it up a bit. We played dodge ball with the hardest balls possible because, well, it was really cool to nail a kid in the head with a high, hard throw. We loved to jump off roofs, and we climbed trees like we were spider monkeys, never giving a moment’s thought that we might fall down and break a bone. “Be careful”….no chance, Mom and Dad, but thanks for caring!!! And then we got older, and with age came an oppressive wariness, and our risk-taking adventures dwindled to nothingness, and honestly I find that a bit sad. I haven’t climbed a tree in a very long time. I was reminded of my age the other day. I was in the hay barn looking for eggs, and a sleeve from a hay bale broke loose while I was standing on it, and I fell down on my side. Didn’t hurt anything, no permanent injuries, but the realization hit me that friends my age have broken hips and ankles and shoulders by doing exactly that, something seemingly innocent which turns out to be six months in rehab. It was a sobering moment, a moment of considerable introspection, coming face to face with the inevitable. I laughed when I first heard The Beatles sing “When I’m Sixty-Four.” I’m not laughing now. Anyway, the next day, I went back into the hay barn and climbed to the top of the hay stack because, well, it was necessary for my own peace of mind that I do so. I guess the point is that a day will come when I can no longer produce the way I am today. I will sit down at the computer on that fateful day and the words simply will not be there. My fingers will not be able to dance across the keys, and my mind will not be able to dance across the spectrum of our language. So today I must squeeze every last drop of enjoyment from writing that I can.